Chinese herbology (simplified Chinese: 中药学; traditional Chinese: 中藥學; pinyin: zhōngyào xué) is the theory of traditional Chinese herbal therapy, which accounts for the majority of treatments in traditional Chinese medicine (TCM). A Nature editorial described TCM as “fraught with pseudoscience“, and said that the most obvious reason why it has not delivered many cures is that the majority of its treatments have no logical mechanism of action. The term herbology is misleading in the sense that, while plant elements are by far the most commonly used substances, animal, human, and mineral products are also utilized, among which some are poisonous. In the Huangdi Neijing they are referred to as 毒藥 [duyao] which means toxin, poison, or medicine. Unschuld points out that this is similar etymology to the Greek pharmakon and so he uses the term “pharmaceutic”. Thus, the term “medicinal” (instead of herb) is usually preferred as a translation for 药 (pinyin: yào). Research into the effectiveness of traditional Chinese herbal therapy is of poor quality and often tainted by bias, with little or no rigorous evidence of efficacy. There are concerns over a number of potentially toxic Chinese herbs. Chinese herbs have been used for centuries. Among the earliest literature are lists of prescriptions for specific ailments, exemplified by the manuscript “Recipes for 52 Ailments”, found in the Mawangdui which were sealed in 168 BC. The “superior” category, which includes herbs effective for multiple diseases and are mostly responsible for maintaining and restoring the body balance. They have almost no unfavorable side-effects. The original text of Shennong’s Materia Medica has been lost; however, there are extant translations. The true date of origin is believed to fall into the late Western Han dynasty (i.e., the first century BC). The Treatise on Cold Damage Disorders and Miscellaneous Illnesses was collated by Zhang Zhongjing, also sometime at the end of the Han dynasty, between 196 and 220 CE. Focusing on drug prescriptions, it was the first medical work to combine Yinyang and the Five Phases with drug therapy. This formulary was also the earliest Chinese medical text to group symptoms into clinically useful “patterns” (zheng 證) that could serve as targets for therapy. Having gone through numerous changes over time, it now circulates as two distinct books: the Treatise on Cold Damage Disorders and the Essential Prescriptions of the Golden Casket, which were edited separately in the eleventh century, under the Song dynasty. Succeeding generations augmented these works, as in the Yaoxing Lun (simplified Chinese: 药性论; traditional Chinese: 藥性論; literally “Treatise on the Nature of Medicinal Herbs”), a 7th-century Tang Dynasty Chinese treatise on herbal medicine. There was a shift in emphasis in treatment over several centuries. A section of the Neijing Suwen including Chapter 74 was added by Wang Bing [王冰 Wáng Bīng] in his 765 edition. In which it says: 主病之謂君，佐君之謂臣，應臣之謂使，非上下三品之謂也。 “Ruler of disease it called Sovereign, aid to Sovereign it called Minister, comply with Minister it called Envoy (Assistant), not upper lower three classes (qualities) it called.” The last part is interpreted as stating that these three rulers are not the three classes of Shénnóng mentioned previously. This chapter in particular outlines a more forceful approach. Later on Zhang Zihe [張子和 Zhāng Zĭ-hé, aka Zhang Cong-zhen] (1156-1228) is credited with founding the ‘Attacking School’ which criticized the overus of tonics. Arguably the most important of these later works is the Compendium of Materia Medica (Bencao Gangmu:本草綱目) compiled during the Ming dynasty by Li Shizhen, which is still used today for consultation and reference. The use of Chinese herbs was popular during the medieval age in western Asian and Islamic countries. They were traded through the Silk Road from the East to the West. Cinnamon, ginger, rhubarb, nutmeg and cubeb are mentioned as Chinese herbs by medieval Islamic medical scholars Such as Rhazes (854– 925 CE), Haly Abbas (930-994 CE) and Avicenna (980-1037 CE). There were also multiple similarities between the clinical uses of these herbs in Chinese and Islamic medicine. There are roughly 13,000 medicinals used in China and over 100,000 medicinal recipes recorded in the ancient literature. Plant elements and extracts are by far the most common elements used. In the classic Handbook of Traditional Drugs from 1941, 517 drugs were listed – out of these, only 45 were animal parts, and 30 were minerals. For many plants used as medicinals, detailed instructions have been handed down not only regarding the locations and areas where they grow best, but also regarding the best timing of planting and harvesting them. Some animal parts used as medicinals can be considered rather strange such as cows’ gallstones. Furthermore, the classic materia medica Bencao Gangmu describes the use of 35 traditional Chinese medicines derived from the human body, including bones, fingernail, hairs, dandruff, earwax, impurities on the teeth, feces, urine, sweat, and organs, but most are no longer in use. Typically, one batch of medicinals is prepared as a decoction of about 9 to 18 substances. Some of these are considered as main herbs, some as ancillary herbs; within the ancillary herbs, up to three categories can be distinguished. Some ingredients are added in order to cancel out toxicity or side-effects of the main ingredients; on top of that, some medicinals require the use of other substances as catalysts. Chinese patent medicine (traditional Chinese: 中成藥, Simplified Chinese: 中成药, pinyin: zhōngchéng yào) is a kind of traditional Chinese medicine. They are standardized herbal formulas. From ancient times, pills were formed by combining several herbs and other ingredients, which were dried and ground into a powder. They were then mixed with a binder and formed into pills by hand. The binder was traditionally honey. Modern teapills, however, are extracted in stainless steel extractors to create either a water decoction or water-alcohol decoction, depending on the herbs used. They are extracted at a low temperature (below 100 degrees Celsius) to preserve essential ingredients. The extracted liquid is then further condensed, and some raw herb powder from one of the herbal ingredients is mixed in to form an herbal dough. This dough is then machine cut into tiny pieces, a small amount of excipients are added for a smooth and consistent exterior, and they are spun into pills. These medicines are not patented in the traditional sense of the word. No one has exclusive rights to the formula. Instead, “patent” refers to the standardization of the formula. In China, all Chinese patent medicines of the same name will have the same proportions of ingredients, and manufactured in accordance with the PRC Pharmacopoeia, which is mandated by law. However, in western countries there may be variations in the proportions of ingredients in patent medicines of the same name, and even different ingredients altogether. Several producers of Chinese herbal medicines are pursuing FDA clinical trials to market their products as drugs in U.S. and European markets. The Five Flavors, sometimes also translated as Five Tastes, are: acrid/pungent (辛), sweet (甘), bitter (苦), sour (酸), and salty (咸). Substances may also have more than one flavor, or none (i.e., a bland (淡) flavor). Each of the Five Flavors corresponds to one of the zàng organs, which in turn corresponds to one of the Five Phases: A flavor implies certain properties and presumed therapeutic “actions” of a substance: saltiness “drains downward and softens hard masses”; sweetness is “supplementing, harmonizing, and moistening”; pungent substances are thought to induce sweat and act on qi and blood; sourness tends to be astringent (涩) in nature; bitterness “drains heat, purges the bowels, and eliminates dampness“. Many herbs earn their names from their unique physical appearance. Examples of such names include Niu Xi (Radix cyathulae seu achyranthis), “cow’s knees,” which has big joints that might look like cow knees; Bai Mu Er (Fructificatio tremellae fuciformis), white wood ear,’ which is white and resembles an ear; Gou Ji (Rhizoma cibotii), ‘dog spine,’ which resembles the spine of a dog. The locations or provinces in which herbs are grown often figure into herb names. For example, Bei Sha Shen (Radix glehniae) is grown and harvested in northern China, whereas Nan Sha Shen (Radix adenophorae) originated in southern China. And the Chinese words for north and south are respectively bei and nan. Chuan Bei Mu (Bulbus fritillariae cirrhosae) and Chuan Niu Xi (Radix cyathulae) are both found in Sichuan province, as the character “chuan” indicates in their names. Some herbs, like Fang Feng (Radix Saposhnikoviae), literally ‘prevent wind,” prevents or treats wind-related illnesses. Xu Duan (Radix Dipsaci), literally ‘restore the broken,’ effectively treats torn soft tissues and broken bones. Many herbs indigenous to other countries have been incorporated into the Chinese materia medica. Xi Yang Shen (Radix panacis quinquefolii), imported from North American crops, translates as ‘western ginseng,” while Dong Yang Shen (Radix ginseng Japonica), grown in and imported from North Asian countries, is ‘eastern ginseng.’ Similar examples are noted in the text whenever geography matters in herb selection. From the earliest records regarding the use of medicinals to today, the toxicity of certain substances has been described in all Chinese materia medica. Since TCM has become more popular in the Western world, there are increasing concerns about the potential toxicity of many traditional Chinese medicinals including plants, animal parts and minerals. For most medicinals, efficacy and toxicity testing are based on traditional knowledge rather than laboratory analysis. The toxicity in some cases could be confirmed by modern research (i.e., in scorpion); in some cases it could not (i.e., in Curculigo). Further, ingredients may have different names in different locales or in historical texts, and different preparations may have similar names for the same reason, which can create inconsistencies and confusion in the creation of medicinals, with the possible danger of poisoning. Edzard Ernst “concluded that adverse effects of herbal medicines are an important albeit neglected subject in dermatology, which deserves further systematic investigation.” Research suggests that the toxic heavy metals and undeclared drugs found in Chinese herbal medicines might be a serious health issue. Substances known to be potentially dangerous include aconite, secretions from the Asiatic toad, powdered centipede, the Chinese beetle (Mylabris phalerata, Ban mao), and certain fungi. There are health problems associated with Aristolochia. Toxic effects are also frequent with Aconitum. To avoid its toxic adverse effects Xanthium sibiricum must be processed. Hepatotoxicity has been reported with products containing Reynoutria multiflora (synonym Polygonum multiflorum), glycyrrhizin, Senecio and Symphytum. The evidence suggests that hepatotoxic herbs also include Dictamnus dasycarpus, Astragalus membranaceous, and Paeonia lactiflora; although there is no evidence that they cause liver damage. Contrary to popular belief, Ganoderma lucidum mushroom extract, as an adjuvant for cancer immunotherapy, appears to have the potential for toxicity. Also, adulteration of some herbal medicine preparations with conventional drugs which may cause serious adverse effects, such as corticosteroids, phenylbutazone, phenytoin, and glibenclamide, has been reported. A 2013 review suggested that although the antimalarial herb Artemisia annua may not cause hepatotoxicity, haematotoxicity, or hyperlipidemia, it should be used cautiously during pregnancy due to a potential risk of embryotoxicity at a high dose. Most Chinese herbs are safe but some have shown not to be. Reports have shown products being contaminated with drugs, toxins, or false reporting of ingredients. Some herbs used in TCM may also react with drugs, have side effects, or be dangerous to people with certain medical conditions. Regarding Traditional Chinese herbal therapy, only few trials exist that are considered to be of adequate methodology by scientific standards, which indicate that proof of effectiveness is poorly documented or absent. A 2016 Cochrane review found “insufficient evidence that Chinese Herbal Medicines were any more or less effective than placebo or Hormonal Therapy” for the relief of menopause related symptoms. A 2012 Cochrane review found no difference in decreased mortality when Chinese herbs were used alongside Western medicine versus Western medicine exclusively. A 2010 Cochrane review found there is not enough robust evidence to support the effectiveness of traditional Chinese medicine herbs to stop the bleeding from haemorrhoids. A 2008 Cochrane review found promising evidence for the use of Chinese herbal medicine in relieving painful menstruation, compared to conventional medicine such as NSAIDs and the oral contraceptive pill, but the findings are of low methodological quality. A 2012 Cochrane review found weak evidence suggesting that some Chinese medicinal herbs have a similar effect at preventing and treating influenza when compared to antiviral medication. Due to the poor quality of these medical studies, there is insufficient evidence to support or dismiss the use of Chinese medicinal herbs for the treatment of influenza. There is a need for larger and higher quality randomized clinical trials to determine how effective Chinese herbal medicine is for treating people with influenza. A 2005 Cochrane review found that although the evidence was weak for the use of any single herb, there was low quality evidence that some Chinese medicinal herbs may be effective for the treatment of acute pancreatitis. Successful results have been scarce: artemisinin, for example, which is an effective treatment for malaria, was discovered from an herb traditionally used to treat fever. Chinese herbology is largely pseudoscience, with no valid mechanism of action for the majority of its treatments. The traditional practice of using (by now) endangered species is controversial within TCM. Modern Materia Medicas such as Bensky, Clavey and Stoger’s comprehensive Chinese herbal text discuss substances derived from endangered species in an appendix, emphasizing alternatives. Parts of endangered species used as TCM drugs include tiger bones and rhinoceros horn. Poachers supply the black market with such substances, and the black market in rhinoceros horn, for example, has reduced the world’s rhino population by more than 90 percent over the past 40 years. 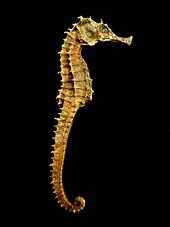 Concerns have also arisen over the use of turtle plastron and seahorses. TCM recognizes bear bile as a medicinal. In 1988, the Chinese Ministry of Health started controlling bile production, which previously used bears killed before winter. Now bears are fitted with a sort of permanent catheter, which is more profitable than killing the bears. More than 12,000 asiatic black bears are held in “bear farms”, where they suffer cruel conditions while being held in tiny cages. The catheter leads through a permanent hole in the abdomen directly to the gall bladder, which can cause severe pain. Increased international attention has mostly stopped the use of bile outside of China; gallbladders from butchered cattle (niú dǎn / 牛膽 / 牛胆) are recommended as a substitute for this ingredient. Collecting American ginseng to assist the Asian traditional medicine trade has made ginseng the most harvested wild plant in North America for the last two centuries, which eventually led to a listing on CITES Appendix II. Chinese herbology is a pseudoscientific practice with potentially unreliable product quality, safety hazards or misleading health advice. There are regulatory bodies, such as China GMP (Good Manufacturing Process) of herbal products. However, there have been notable cases of an absence of quality control during herbal product preparation. There is a lack of high-quality scientific research on herbology practices and product effectiveness for anti-disease activity. In the herbal sources listed below, there is little or no evidence for efficacy or proof of safety across consumer age groups and disease conditions for which they are intended. There are over 300 herbs in common use. Some of the most commonly used herbs are Ginseng (人参/人參, rénshēn), wolfberry (枸杞子), dong quai (Angelica sinensis, 当归/當歸, dāngguī), astragalus (黄耆/黃耆, huángqí), atractylodes (白术/白朮, báizhú), bupleurum (柴胡, cháihú), cinnamon (cinnamon twigs (桂枝, guìzhī) and cinnamon bark (肉桂, ròuguì)), coptis (黄连/黃連, huánglián), ginger (姜/薑, jiāng), hoelen (茯苓, fúlíng), licorice (甘草, gāncǎo), ephedra sinica (麻黄/麻黃, máhuáng), peony (white: 白芍, báisháo and reddish: 赤芍, chìsháo), rehmannia (地黄/地黃, dìhuáng), rhubarb (大黄/大黃, dàhuáng), and salvia (丹参/丹參, dānshēn). The use of Chinese ginseng (人参) is well over 2,000 years old in Chinese medicine. The constituents include steroid saponins known as ginsenosides, The amount of ginsenosides in Chinese ginseng depends on how the plant was cultivated and the age of the root. Wild Chinese ginseng, believed to be of highest TCM quality, has become rare in its natural habitat, so natural fostering efforts are utilized to emulate the wild variety. Chinese ginseng can be white or red, depending on how it is processed. White Chinese ginseng is unprocessed and dried naturally. Red Chinese ginseng is processed with steam and, in TCM, is believed to be more potent. Wild American ginseng populations are thought to be less abundant than they were in the 18th and early 19th centuries, due to habitat loss, harvest pressures and excessive deer browse. Current American ginseng products are commonly sourced from naturally fostered varieties, to emulate the wild variety. Properties: Sweet, Slightly Bitter, Cold. Properties: Pungent, Acrid, Slightly Bitter, Warm. Mushrooms have long been used as a medicinal food and as a tea in Chinese herbology. Wolfberry (枸杞子) is grown in Ningxia from shrubs with long vines. The shrubs are covered with small trumpet-shaped flowers, which turn into small, bright red berries. The berries are usually consumed fresh and sometimes when dried. Dang Gui (当归, Angelica sinensis or “female ginseng”) is an aromatic herb that grows in China, Korea, and Japan. Common Name: Chinese Angelica Root. Quality: Sweet, Pungent (Acrid), Warm. Astragalus (黄芪) is a root. Common Name: Astragalus Root, Milkvetch Root. Quality: Pungent (Acrid), Bitter, Warm. Common Name: Hare’s Ear Root. Quality: Bitter, Pungent (Acrid), Cool. Meridians: Gallbladder, Liver, Pericardium, San Jiao. Cinnamon (桂枝, 肉桂), mostly gui zhi and rou gui, is the twigs and bark from a species of large tropical tree. Quality: Pungent (Acrid), Sweet, Warm. Quality: Pungent (Acrid), Sweet, Hot. Meridians: Heart, Kidney, Liver, Spleen. The rhizome of Coptis chinensis is one of the bitterest herbs used in Chinese medicine. Meridians: Heart, Large Intestine, Liver, Stomach. Ginger (薑) is a herb and a spice that is used in Chinese cuisine. There are four main kinds of preparations in Chinese herbology: fresh ginger, dried ginger, roasted ginger, and ginger charcoal, all made of the rhizomes. Common Name: Fresh Ginger Rhizome. Quality: Pungent (Acrid), Slightly warm. Common Name: Dried Ginger Rhizome. Meridians: Heart, Lung, Spleen, Stomach. Species: Glycyrrhiza inflata or Glycyrrhiza glabra. Meridians: All 12 channels, but mainly Heart, Lung, Spleen, Stomach. Species: Ephedra sinica or Ephedra intermedia. Quality: Pungent (Acrid), Slightly Bitter, Warm. Peony comes in two varieties: bai shao (“bai”=white) and chi shao (“chi”=red). the root of the plant is used in both varieties. Common Name: White Peony Root. Species: Paeonia lactiflora or Paeonia veitchii. Common Name: Red Peony Root. Rehmannia (地黄) is a root where the dark, moist part of the herb is used. Common Name: Raw Chinese Foxglove Root. Common Name: Chinese Foxglove Root Prepared with Wine. Rhubarb (大黄), used medicinally for its root, was one of the first herbs to be exported from China. Species: Rheum palmatum, Rheum ranguticum, or Rheum officinale. Common Name: Rhubarb Root and Rhizome. Salvia (丹参) are the deep roots of the Chinese sage plant. ^ a b c “Hard to swallow”. Nature. 448 (7150): 105–6. 2007. Bibcode:2007Natur.448S.105.. doi:10.1038/448106a. PMID 17625521. ^ Siegfried, N. L; Hughes, G (2012). “Herbal medicine, randomised controlled trials and global core competencies”. South African Medical Journal. 102 (12): 912–3. doi:10.7196/samj.6392. PMID 23498035. ^ a b “Shennong 神农”. cultural-china.com. Archived from the original on 29 January 2011. Retrieved 24 February 2011. ^ a b c d Unschuld, Paul Ulrich (1986), Medicine in China, A History of Pharmaceutics, 本草, University of California Press. ^ Goldschmidt 2009, pp. 100–101. ^ Heyadri, Mojtaba; Hashempur, Mohammad Hashem; Ayati, Mohammad Hosein; Quintern, Detlev; Nimrouzi, Majid; Mosavat, Seyed Hamdollah (2015). “The use of Chinese herbal drugs in Islamic medicine”. Journal of Integrative Medicine. 13 (6): 363–367. doi:10.1016/S2095-4964(15)60205-9. PMID 26559361. Archived from the original on 2015-09-25. ^ Chen, K; Yu, B (1999). “Certain progress of clinical research on Chinese integrative medicine”. Chinese Medical Journal. 112 (10): 934–7. PMID 11717980. ^ “The Importance of Aconite (fuzi)” (PDF). Archived from the original (PDF) on 2011-07-25. Retrieved 2011-05-17. ^ Hesketh, T; Zhu, WX (1997). “Health in China. Traditional Chinese medicine: One country, two systems”. BMJ (Clinical Research Ed.). 315 (7100): 115–7. doi:10.1136/bmj.315.7100.115. PMC 2127090. PMID 9240055. ^ Nie, Jing-Bao (2002). “‘Human Drugs’ in Chinese Medicine and the Confucian View: An Interpretive Study”. Confucian Bioethics. Philosophy and Medicine. 61. pp. 167–206. doi:10.1007/0-306-46867-0_7. ISBN 978-0-7923-5723-0. ^ Awaya, Tsuyoshi (June 1999). “The Human Body as a New Commodity”. The Review of Tokuyama University. ^ a b c Bensky, Dan (2004) Chinese Herbal Medicine Materia Medica. Eastland Press, third edition. ^ a b c d e f g Chen, John and Chen, Tina (2004) Chinese Medical Herbology and Pharmacology. AOM Press. Pages 3–6. ^ “香港容易混淆中藥”. Hkcccm.com. Archived from the original on January 19, 2008. Retrieved 2009-12-07. ^ “¡u¨~µv¡v”P¡u¤úµv¡v¤Å²V²c¨Ï¥Î”. .news.gov.hk. 2004-05-03. Archived from the original on June 2, 2009. Retrieved 2009-12-07. ^ “Chinese medicine Natrii Sulfas not to be confused with chemical Sodium Nitrite”. Info.gov.hk. 2004-05-03. Retrieved 2009-12-07. ^ Ernst, E (November 2000). “Adverse effects of herbal drugs in dermatology”. The British Journal of Dermatology. 143 (5): 923–9. doi:10.1046/j.1365-2133.2000.03822.x. PMID 11069498. ^ Ernst, E (March 2002). “Toxic heavy metals and undeclared drugs in Asian herbal medicines”. Trends in Pharmacological Sciences. 23 (3): 136–9. doi:10.1016/s0165-6147(00)01972-6. PMID 11879681. ^ Ko, RJ; Greenwald, MS; Loscutoff, SM; Au, AM; Appel, BR; Kreutzer, RA; Haddon, WF; Jackson, TY; Boo, FO; Presicek, G (1996). “Lethal ingestion of Chinese herbal tea containing ch’an su”. The Western Journal of Medicine. 164 (1): 71–5. PMC 1303306. PMID 8779214. ^ “Centipede, Acupuncture Today”. Acupuncturetoday.com. Retrieved 2011-05-17. ^ Tsuneo, N; Ma, M; Inagaki, I (1988). “Insect derived crude drugs in the chinese song dynasty”. Journal of Ethnopharmacology. 24 (2–3): 247–85. doi:10.1016/0378-8741(88)90157-2. PMID 3075674. ^ Efferth T, Kaina B (2011). “Toxicities by herbal medicines with emphasis to traditional Chinese medicine”. Curr Drug Metab (Review). 12 (10): 989–96. doi:10.2174/138920011798062328. PMID 21892916. ^ Abolaji, A. O.; Eteng, M. U.; Ebong, P. E.; Brisibe, E. A.; Dar, A.; Kabir, N.; Choudhary, M. I. (2013). “A Safety Assessment of the Antimalarial HerbArtemisia annuaDuring Pregnancy in Wistar Rats”. Phytotherapy Research. 27 (5): 647–654. doi:10.1002/ptr.4760. PMID 22736625. ^ Zhao, P.; Wang, C.; Liu, W.; Chen, G.; Liu, X.; Wang, X.; Wang, B.; Yu, L.; Sun, Y.; Liang, X.; Yang, H.; Zhang, F. (2013). Avila, Matias A, ed. “Causes and Outcomes of Acute Liver Failure in China”. PLoS ONE. 8 (11): e80991. Bibcode:2013PLoSO…880991Z. doi:10.1371/journal.pone.0080991. PMC 3838343. PMID 24278360. ^ “Traditional Chinese Medicine: In Depth”. NCCIH. April 2009. Retrieved 2017-11-27. ^ Zhu, X; Liew, Y; Liu, ZL (15 March 2016). “Chinese herbal medicine for menopausal symptoms”. The Cochrane Database of Systematic Reviews. 3: CD009023. doi:10.1002/14651858.CD009023.pub2. PMC 4951187. PMID 26976671. ^ Liu, X.; Zhang, M.; He, L.; Li, Y. (2012). Li, Youping, ed. “Chinese herbs combined with Western medicine for severe acute respiratory syndrome (SARS)”. The Cochrane Library. 10: CD004882. doi:10.1002/14651858.CD004882.pub3. PMID 23076910. ^ Gan, T.; Liu, Y. D.; Wang, Y.; Yang, J. (2010). Gan, Tao, ed. “Traditional Chinese Medicine herbs for stopping bleeding from haemorrhoids”. The Cochrane Library (10): CD006791. doi:10.1002/14651858.CD006791.pub2. PMID 20927750. ^ Zhu, X.; Proctor, M.; Bensoussan, A.; Wu, E.; Smith, C. A. (2008). Zhu, Xiaoshu, ed. “Chinese herbal medicine for primary dysmenorrhoea”. The Cochrane Library (2): CD005288. doi:10.1002/14651858.CD005288.pub3. PMID 18425916. ^ a b c Jiang, Lanhui; Deng, Linyu; Wu, Taixiang (2013-03-28). “Chinese medicinal herbs for influenza”. The Cochrane Database of Systematic Reviews (3): CD004559. doi:10.1002/14651858.CD004559.pub4. ISSN 1469-493X. PMID 23543533. ^ Wang, Q.; Yiping, Z.; Jinlin, P.; Tao, Y.; Zhen, T.; Pengcheng, J. (2005). Wang, Qiong, ed. “Chinese herbal medicines for acute pancreatitis”. The Cochrane Library (1): CD003631. doi:10.1002/14651858.CD003631.pub2. PMID 15674909. ^ Brian K. Weirum, Special to the Chronicle (2007-11-11). “Will traditional Chinese medicine mean the end of the wild tiger?”. Sfgate.com. Retrieved 2009-12-07. ^ “Rhino rescue plan decimates Asian antelopes”. Newscientist.com. Retrieved 2009-12-07. ^ Chen, Tien-Hsi; Chang, Hsien-Cheh; Lue, Kuang-Yang (2009). “Unregulated Trade in Turtle Shells for Chinese Traditional Medicine in East and Southeast Asia: The Case of Taiwan”. Chelonian Conservation and Biology. 8: 11–18. doi:10.2744/CCB-0747.1. ^ “NOVA Online | Kingdom of the Seahorse | Amanda Vincent”. Pbs.org. Retrieved 2009-12-07. ^ McGraw, J. B.; Lubbers, A. E.; Van Der Voort, M; Mooney, E. H.; Furedi, M. A.; Souther, S; Turner, J. B.; Chandler, J (2013). “Ecology and conservation of ginseng (Panax quinquefolius) in a changing world”. Annals of the New York Academy of Sciences. 1286 (1): 62–91. Bibcode:2013NYASA1286…62M. doi:10.1111/nyas.12032. PMID 23398402. ^ a b c Barrett, Stephen (23 November 2013). “The herbal minefield”. Quackwatch. Retrieved 1 December 2017. ^ a b c “WHO Traditional Medicine Strategy, 2014-2023; page 41” (PDF). World Health Organization. 2013. Retrieved 1 December 2017. ^ Zhang, J; Wider, B; Shang, H; Li, X; Ernst, E (2012). “Quality of herbal medicines: Challenges and solutions”. Complementary Therapies in Medicine. 20 (1–2): 100–6. doi:10.1016/j.ctim.2011.09.004. PMID 22305255. ^ He, Tian-Tian; Lam Ung, Carolina Oi; Hu, Hao; Wang, Yi-Tao (February 2015). “Good manufacturing practice (GMP) regulation of herbal medicine in comparative research: China GMP, cGMP, WHO-GMP, PIC/S and EU-GMP”. European Journal of Integrative Medicine. 7 (1): 55–56. doi:10.1016/j.eujim.2014.11.007. ^ Newmaster, S. G.; Grguric, M; Shanmughanandhan, D; Ramalingam, S; Ragupathy, S (2013). “DNA barcoding detects contamination and substitution in North American herbal products”. BMC Medicine. 11: 222. doi:10.1186/1741-7015-11-222. PMC 3851815. PMID 24120035. ^ a b Attele, AS; Wu, J.A. ; Yuan, C.S. (1999). “Ginseng pharmacology: multiple constituents and multiple actions”. Biochemical Pharmacology. 58 (11): 1685–1693. doi:10.1016/s0006-2952(99)00212-9. PMID 10571242. ^ Li, Xiwen; Chen, Yuning; Lai, Yunfeng; Yang, Qing; Hu, Hao; Wang, Yitao (October 31, 2014). “Sustainable utilization of traditional chinese medicine resources: systematic evaluation on different production modes”. Hindawi: Evidence-Based Complementary and Alternative Medicine. 2015: 218901. doi:10.1155/2015/218901. PMC 4449915. PMID 26074987. ^ a b “Growing American Ginseng (Panax quinquefolius) in Forestlands”. Virginia Cooperative Extension. 354-313. January 13, 2011. ^ Benzie, Iris F. F. (2011). Herbal Medicine: Biomolecular and Clinical Aspects, Second Edition. p 292 CRC Press. ISBN 9781439807163. ^ Bensky, Dan (2004) Chinese Herbal Medicine Materia Medica. Eastland Press, third edition, p. 761. ^ “Agastache rugosa | Plants For A Future database report”. Archived from the original on April 12, 2006. Retrieved 2008-02-14. ^ “Agastache rugosa in Flora of China @ efloras.org”. Retrieved 2008-02-19. ^ “Alangium chinense | Plants For A Future database report”. Plants for a Future. June 2004. Archived from the original on May 6, 2010. Retrieved 2008-02-05. ^ a b “Alangium chinense in Flora of China @ efloras.org”. Retrieved 2008-02-14. ^ a b “2015 Top MBBS Programs in China”. CUCAS. Retrieved 2008-02-05. ^ “Anisodus tanguticus in Flora of China @efloras.org”. Retrieved 2008-02-05. ^ a b “Huang qi, Complementary and Alternative Healing University”. Retrieved 2008-02-19. ^ “Dichroa febrifuga | Plants For A Future database report”. Archived from the original on January 17, 2009. Retrieved 2008-02-05. ^ “Euphorbia pekinensis | Plants For A Future database report”. Archived from the original on January 16, 2009. Retrieved 2008-02-05. ^ “Securinega suffruticosa – Plants For A Future database report”. Archived from the original on January 17, 2009. Retrieved 2008-02-06. ^ Xiandai Hanyu Cidian. Commercial Press, fifth Edition, p. 844. ^ “Glycyrrhiza uralensis – Plants For A Future database report”. Archived from the original on January 15, 2009. Retrieved 2008-02-08. ^ “Ligusticum wallichii | Plants For A Future database report”. Archived from the original on March 3, 2008. Retrieved 2008-02-21. ^ “Rehmannia glutinosa”. Retrieved 2012-11-04. ^ “天南星 Tiannanxing”. Hong Kong Baptist University (in Chinese). Archived from the original on 2015-10-19. ^ “Cap 549 Sched 2 CHINESE HERBAL MEDICINES (CHINESE MEDICINE ORDINANCE)”. Legislation.gov.hk. Retrieved 2012-11-04.